Meet our June Star Apprentice, Annabelle (8). 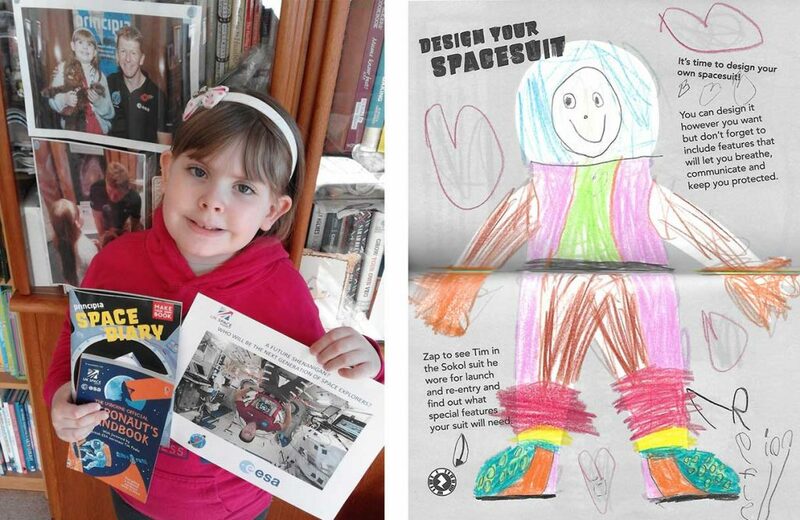 Annabelle has a passion for space and science and was awarded a place at Portsmouth Space Conference to show Tim Peake and the [Principia] team her extensive work. She has been working hard since 2015 and continues to do so. 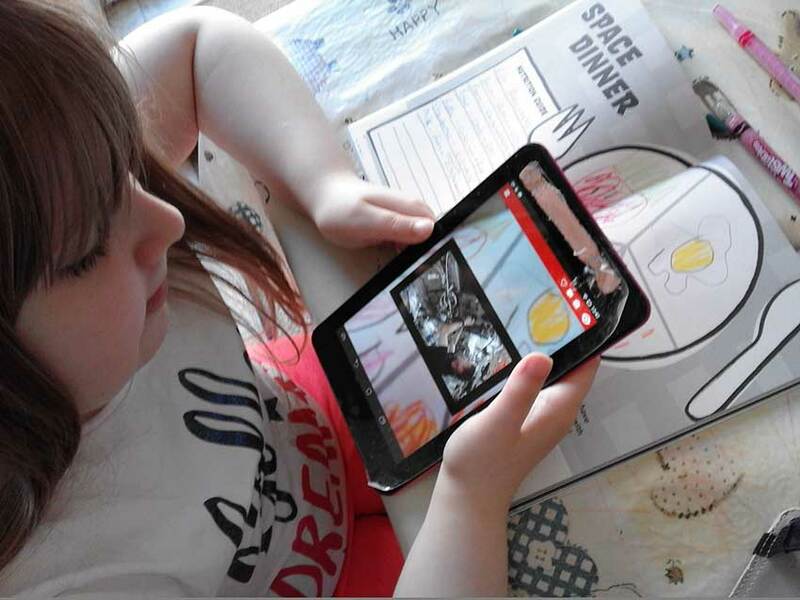 Annabelle recently attended a lecture by ESA Astronaut Sam Cristoforetti in Greenwich and asked her a question about their bones in space – which they weren’t expecting! Here Annabelle is interviewed by her awesome mum, Amanda and they discuss meeting space heroes and how fashion design can help astronauts. What do you like the most about working on the Space Diary? Everything, I liked having my own [Space] Diary to fill and colour in and to explore space with. I liked the videos too. The sticker badges were cool too. If you could design a planet, what would it be like? It would be pink all over, all different shades of pink! There would be people there who all lived in peace with one another and it would be filled with love, you would never be sad there. 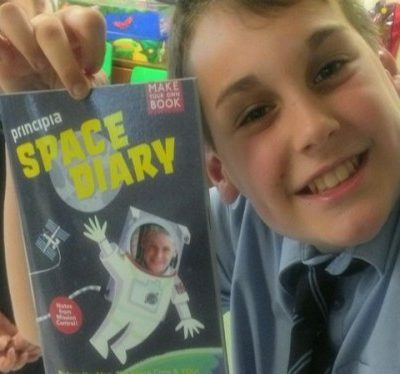 How has learning about space helped you? Lots, I have learnt so much and want to learn more now as well. I am already doing more research, I grew the RHS Rocket Seeds last year, so I am keen to continue my bio-science work and I am also interested in the health sciences too and the work they are completing about human bone density in space. I have been lucky to meet Tim Peake (in Portsmouth) and Sam Cristoforetti this week and learn even more from them at their lectures too. Every time you see them you learn something new. I have also been lucky to meet a lot of the wonderful people behind the space education programmes too, and helped with some of them too. Who do you want to help when you are older? I would like to learn how to be a Fashion & Textile designer and design protective materials/fabrics to help with UVA/radiation protection. I know there are children who need special clothes to wear as the sunlight hurts them. 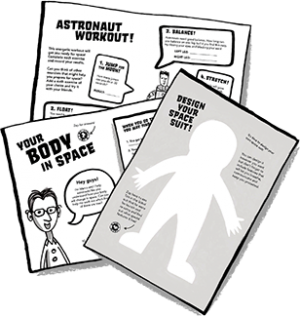 I would like to make their clothes more fun and easy to wear for them and to help future astronauts too. Where do you see space exploration go in 2030 and beyond? I think we will be going to space hotels in lower Earth orbit, just like a normal holiday now. By then we would have a base on the Moon for astronauts and [we] would have started to settle on Mars. Hopefully someone would have been able to land on Comet 67p to collect Rosetta & Philae by then too, as I miss following them! Space science would have helped cure many serious health conditions by then too and improved the lives of millions of us on Earth with their technology being passed onto us for everyday use. 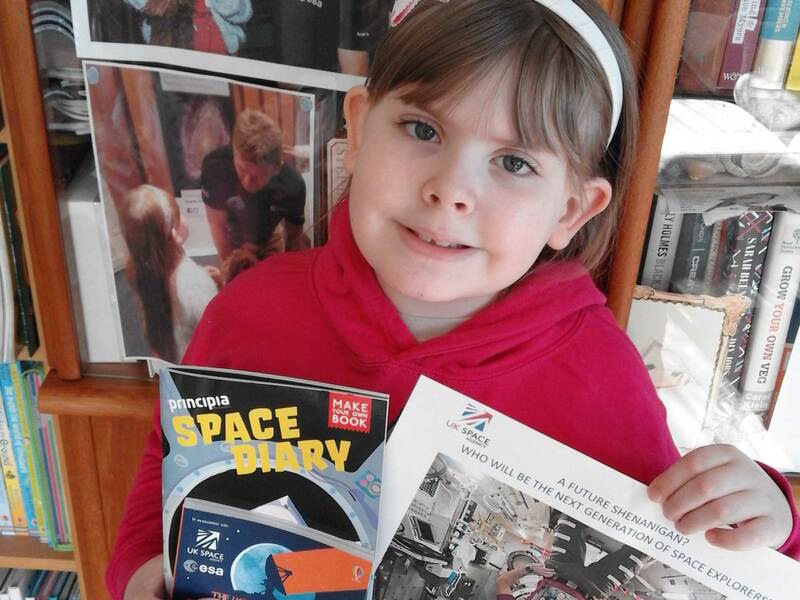 Annabelle suffers from a chronic health condition and Amanda says the Space Diary allows her and Annabelle to work when they can, “It gives her such a boost completing the Principia Projects. We are a small but determined team.” We couldn’t be prouder to have Annabelle as our June Star Apprentice and are looking forward to reading more about her future work in designing protective materials and fabrics for UVA and radiation protection. Keep up the good work, Annabelle!